The final regattas of the Northern Hemisphere summer are on, and there are more 49ers racing now than at any point in the history of the class. The Juniors are all together in Marseille, the Olympic hopefuls are all together in Japan, and the Asian Games are on. Add to that a host of smaller national events make for a huge amount of skiff racing simultaneously. The Asian Games is more important than the Olympics for many sailing nations in Asia, and they’re on in Jakarta right now. Half way through the event the Japanese 49er and Singapore 49erFX are in the lead. The Japanese 49erFX squad has been progressing steadily in the 49erFX, and didn’t send teams to the Asian games, no doubt favoring instead keeping all their teams home to train and race the upcoming Sailing World Cup in Enoshima. They’ll be joined by all 10 Olympic classes, and there are large fleets of the top sailors in both 49er and 49erFX. Some MNA’s are still not geared up for the Tokyo Games, as equipment, especially to charter is still a challenge, but most of the big sailing nations have now set up gear at the Olympic Venue. Half a world away the 2018 Junior World Championship of 49er and 49erFX, are set to begin tomorrow. 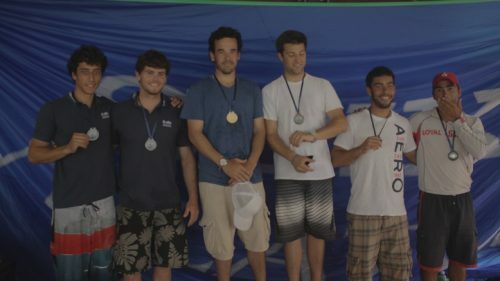 The Junior level events have become the latest hot property in sailing. The first edition for the 49er was in 2011, as part of a senior event and has 23 entries. 7 years later, the Junior Worlds is now a stand along, Junior only, regatta, with 53 entries in the 49er and 40 entries in the 49erFX. The Junior Worlds is set at U23, meaning no sailor can turn 23 in the calendar year of the regatta. This sets up a 4 year goal for graduating Youth sailors, with youth events mostly designated as U19. Prior to Junior events, graduating youth were sent straight into senior regattas, and faced years of toiling near the back of a fleet. National teams and development programs are now adjusting how they handle this transition in life and sailing for 19-22 year olds. “The Junior Worlds is our biggest objective for this season for the Dutch Youth High Performance team. As a nation we will participate there with 11 boats in total,” said Dutch high performance coach,” Dirk Bennen. Germany has a similar approach, running open try outs for their development skiff squads and cutting down their application numbers to ‘only’ 10 teams of 49er and 10 teams of 49erFX, 17 of which have come for Junior Worlds. Along with these ‘travel events,’ there are also a number of regional and national events going on too. The Americans are at Oakcliff, their development center for the first leg of the triple crown. The Canadians are at Cork with a large FX fleet of women, men, and mixed teams. 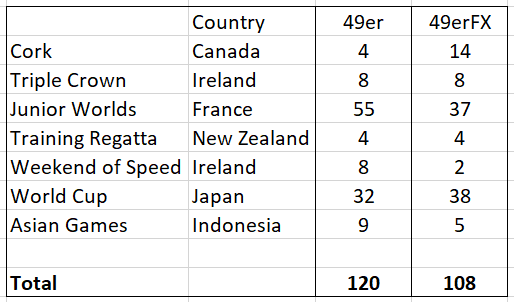 In New Zealand there are 8 teams aged 15-20 just starting out in the 49er and 49erFX to gear up for the 2019 Worlds which will be in New Zealand for the first time. In Ireland their strong 49er squad is buoyed by the kick of off Analise Murphy, Olympic Silver medalist from the radial, starting her 49erFX campaign after finishing the Volvo Ocean Race. The pace of development in 49er hasn’t been this high since the success of the Sydney 2000, the 49er debut, and there have never been so many 49ers all racing at the same time. 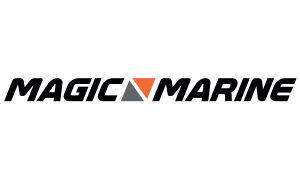 Mackay reports 50% of sales are now into the Asia Pacific region, up from 20% historically. Critically, China has begun to sail 49er and 49erFX, and will likely put the skiffs into the China games for 2021. The addition of the 49erFX has also created a more reasonable stepping stone from youth boats into the 49er, and the numbers at Junior Worlds represent confirmation that all of these growth strategies are coming together. 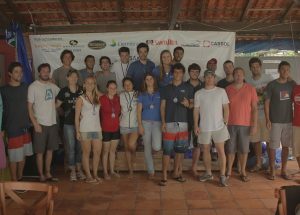 While there remain few 49er sailors outside of the Olympic pathways, the ‘weekend warriors’ as they were once called, the strength and growth along the Olympic pathway is healthy across a wide spectrum of the sailing world. ead to our store to pick up some of their amazing gear.